Hepatitis C is an infectious disease that leads to inflammation of the liver caused by the hepatitis C virus (HCV). The infection is often asymptomatic, but once established, chronic infection can progress to scarring of the liver (fibrosis), and advanced scarring (cirrhosis) which is generally apparent after many years. 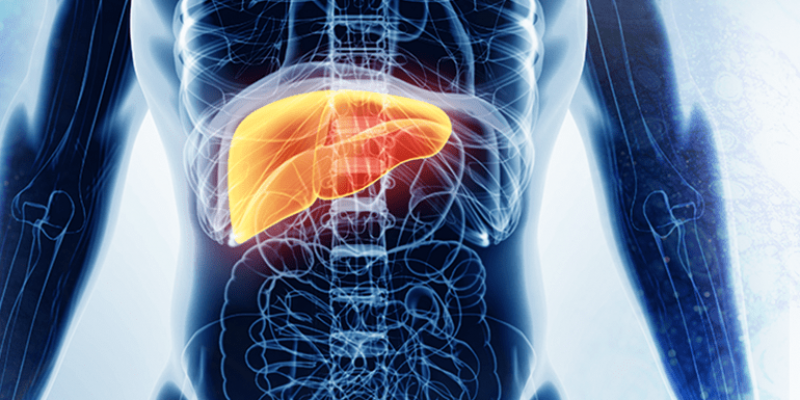 In some cases, those with cirrhosis will go on to develop liver failure or other complications of cirrhosis, including liver cancer or life threatening esophageal varices and gastric varices. The hepatitis C virus is spread by blood-to-blood contact. Most people have few, if any symptoms after the initial infection, yet the virus persists in the liver in about 85% of those infected. Persistent infection can be treated with medication, peginterferons and ribavirin being the standard-of-care therapy. Currently about half off all patients are being cured with the standard of care medications. Those who develop cirrhosis or liver cancer may require liver transplantation, and the virus universally recurs after that procedure. An estimated 270-300 million people worldwide are infected with hepatitis C.
Combination Studies. In this analysis, synergistic or antagonistic effects of drugs are distinguished from additive effects. 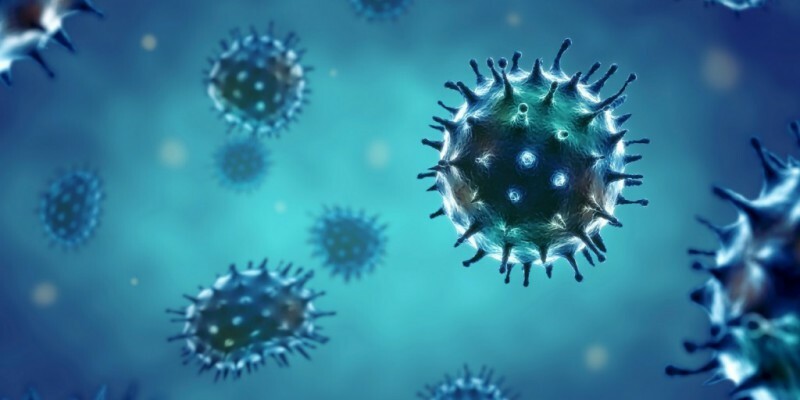 Compounds are evaluated in combination with ribavirin, IFN alpha and other drugs to examine if there are greater than additive, synergistic or antagonistic effects on both antiviral activity and cytotoxicity. Comprehensive Drug Toxicity Evaluation We can test compounds for toxicity against a large panel of established cell lines, human PBMCs and human primary hepatocyte cultures. HCV Molecular Target Assays Here we test compounds for their abilities to inhibit HCV-specific molecular targets. An in vitro assay of the HCV RNA-dependent RNA polymerase NS5B can be used to determine if drugs specifically inhibit this activity. An in vitro assay of HCV NS3 protease substrate cleavage inhibition. A dual luciferase assay can assay the ability of compounds to inhibit HCV IRES-mediated translation. Indicate the point in the viral replication cycle during which the drug acts. To show inhibition viral RNA synthesis by drugs. We investigate the effect of varying viral multipicity of Infection on the antiviral activity of test compounds. If test compounds are mutagenic then the infectivity of the viruses produced under these conditions is reduced dramatically. Effects on spread of viral infection in tissue culture (immunohistochemistry and immunofluorescence microscopy). These studies determine if test compounds block re-infection of cells in tissue culture (for example, if viral entry is targeted). Hepatitis B is an infectious illness caused by hepatitis B virus (HBV) which infects the human liver and causes an inflammation called hepatitis. Originally known as “serum hepatitis”, the disease has caused epidemics in parts of Asia and Africa, and it is endemic in . 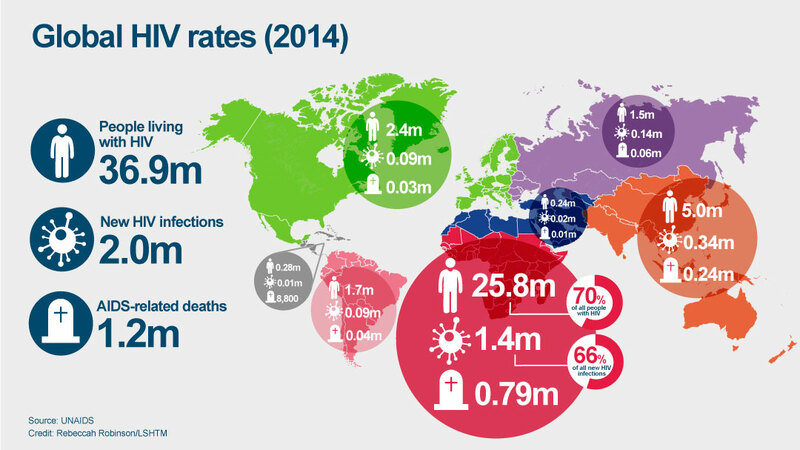 About a third of the world’s population, more than 2 billion people, have been infected with the hepatitis B virus. This includes 350 million chronic carriers of the virus. Transmission of hepatitis B virus results from exposure to infectious blood or body fluids. The acute illness causes liver inflammation, vomiting, jaundice and, rarely, death. Chronic hepatitis B may eventually cause liver cirrhosis and liver cancer—a fatal disease with very poor response to current chemotherapy. Hepatitis B virus is an hepadnavirus—“hep” from “hepar” (liver in Latin) and “dna” because it is a DNA virus – and it has a small circular genome of partially double-stranded DNA. The virus replicates through an RNA intermediate form by reverse transcription, and in this respect it is similar to retroviruses. Although replication takes place in the liver, the virus spreads to the blood where virus-specific proteins and their corresponding antibodies are found in infected people. After the antiviral activity of test compounds against HBV is confirmed, the interactions of the compounds with 3TC, IFNs and other compounds in terms of efficacy (synergy, additivity, antagonism) and toxicity (combination toxicity) are evaluated in the 2.2.15 cells using the quantitative HBV TaqMan PCR assay. We can test compounds for toxicity against a large panel of established cell lines and also primary cell cultures, including PBMCs and human primary hepatocytes. A variety of assays are used to pinpoint the MOA of antiviral compounds. In addition to the quantitative PCR analysis we may perform a Southern blot of the HBV particles secreted from drug-treated cells. HBV particles can be isolated from the treated 2.2.15 cells and the pregenomic RNA examined by Southern blot analysis. This may help us identify the site of action of a late-acting compound. Intracellular HBV replicative intermediates Nucleic acids isolated from the cells can be examined by Southern blots to examine the distribution of circular partially double-stranded HBV DNA, linear partially double-stranded DNA and single stranded HBV DNA. Effects on HBV genomic and subgenomic viral RNA synthesis are studied by Northern blot and primer extension analysis. We use ELISAs to quantify the amounts of the HBV envelope protein, surface antigen (HBsAg), and of secreted e-antigen (HBeAg) released from cultures. To study HBV core and envelope protein expression. Specific effects on HBV transcription and replication may arise from alterations in DNA-protein interactions, sometimes affected by cellular growth factors, at the HBV enhancers, promoters or through the transcriptional transactivator X-protein. Extracellular HBV virions contain partially double-stranded circular DNA genomes. We use purified virions to assay the ability of antiviral drugs to inhibit the endogenous polymerase activity of HBV. Normally this activity functions to complete (+)strand synthesis following the infection of new cells by HBV virions. ChemDiv staff offers decades of experience in the HIV research and drug development. Multiple cell-based assays to evaluate anti-HIV compounds are available, including replication assays with primary (PBMC cells) or transformed T cell lines, and use of reporter T cell lines to monitor virus infectivity. In parallel with antiviral assays, our services include evaluation of compound’s cytotoxic effects in several uninfected cell lines. We utilize a variety of reporter genes and readouts adapted to the specific needs of each client’s assays. In addition, we offer a number of customized assays to investigate the mechanism of action of drug candidates, such as the emergence of resistant strains and characterization of viral targets. We also perform screening of small molecule libraries with several cell-based assays developed in-house or following the client’s needs. Known HIV inhibitors are being used as positive control in all the assays. Cell-based antiviral assays are performed with either transformed T cell lines (SupT1, H9, Molt4), primary blood-derived mononuclear cells (PBMCs) or macrophages. PBMC cells are prepared, stimulated and then infected with HIV laboratory-adapted or primary isolates utilizing different coreceptors. Experimental readout of HIV replication can be performed by ELISA of p24 viral antigen, monitoring reverse transcriptase, reporter virus or by intracellular or surface staining of viral antigens (e.g. Gag protein or Env, respectively). Antiviral assays can be performed with a set of primary and laboratory adapted HIV isolates (displaying X4, R5 or dual tropism), and virus resistant to each family of ARVs. Multi-drug resistant isolates are also available. In vitro antiviral assays can be performed at low and medium throughputs (up to 100,000 molecules). A variety of stable reporter cell lines expressing HIV receptor and coreceptors are used to evaluate infectivity of HIV or HIV-based pseudotypes using single cycle assays. We also offer multi-tiered assays to evaluate the antiviral activity of late-stage antiviral compounds (e.g. maturation inhibitors). These latter assays require production of viral particles in compound treated cells and subsequent analysis of infectivity in permissive cells in the absence of compound. Resistant selection may be carried out in either transformed or primary cells with a variety of viral isolates. Selections for multidrug resistant variants are available using a combination of antiviral compounds including approved drugs likely to be used in combination therapy in the clinic. Characterization of resistant variants includes determination of genotypic and phenotypic variations. Efficacy of combination antivirals is evaluated as synergistic, additive or antagonistic using software packages including Prichard and Shipman MacSynergy II and Chou and Talalay median dose effect (Calcusyn). Pseudotyping HIV virus with heterologous viral envelope proteins can be used as a surrogate assay to evaluate viral entry in a number of viruses. These studies have been used to identify and study candidate viral entry inhibitors against HCV, Dengue virus, West Nile virus, Ebola, Yellow Fever, highly pathogenic avian influenza and many other infectious agents for which entry assays are difficult to perform because they are not available, or when available, they require the use of highly infectious virus under strict Biosafety level conditions (BSL3 or BSL4). Other available assays include evaluation of HIV protease activity, entry assays, integration assays, antibody neutralization assays, coreceptor determination, HIV-induced downmodulation of CD4 and class I MHC, anti-HIV activity in chronically infected cells (with established HIV replication), evaluation of CPE effect in infected cells (syncytia formation, apoptosis, direct killing). These assays will help address the mechanism of action of lead compounds. ChemDiv also offers customized assays adapted to the specific needs of our clients. Additional information on these and other assays are available upon request. Our staff will work with you to develop additional assays appropriate to your needs. 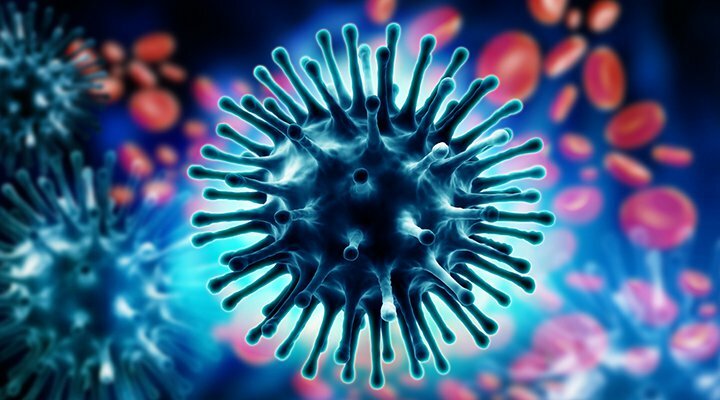 Influenza, commonly referred to as the flu, is an infectious disease caused by RNA viruses of the family Orthomyxoviridae (the influenza viruses), that affects birds and mammals. The most common symptoms of the disease are chills, fever, sore throat, muscle pains, severe headache, coughing, weakness/fatigue and general discomfort. Sore throat, fever and coughs are the most frequent symptoms. In more serious cases, influenza causes pneumonia, which can be fatal, particularly for the young and the elderly. In developed countries Vaccinations against influenza are usually given to people and also to farmed poultry. A vaccine formulated for one year may be ineffective in the following year, since the influenza virus evolves rapidly, and new strains quickly replace the older ones. Antiviral drugs can be used to treat influenza, with neuraminidase inhibitors being particularly effective. Influenza spreads around the world in seasonal epidemics, resulting in the deaths of between 250,000 and 500,000 people every year, up to millions in some pandemic years. On average 41,400 people died each year in the between 1979 and 2001 from influenza. In 2010 the CDC in the changed the way it reports the 30 year estimates for deaths. Now they are reported as a range from a low of about 3,300 deaths to a high of 49,000 per year. For both seasonal influenza and highly pathogenic avian influenza, ChemDiv has capabilities in the following: antiviral in vitro compound testing; high throughput screening; evaluation in established in vivo models; and, in vitro and in vivo vaccine development and services. Tamiflu, or Amantadine can be included in each assay as a positive control compounds. Cell viability is determined 24, 48, and 72 hours later. EC50 and EC90 values are calculated by regression analysis with semi-log curve fitting. CC50 and CC90 values are determined in parallel. Selectivity (therapeutic) indices (SI = TC/IC) are calculated. Drug combination studies are available. Other assay development is available.